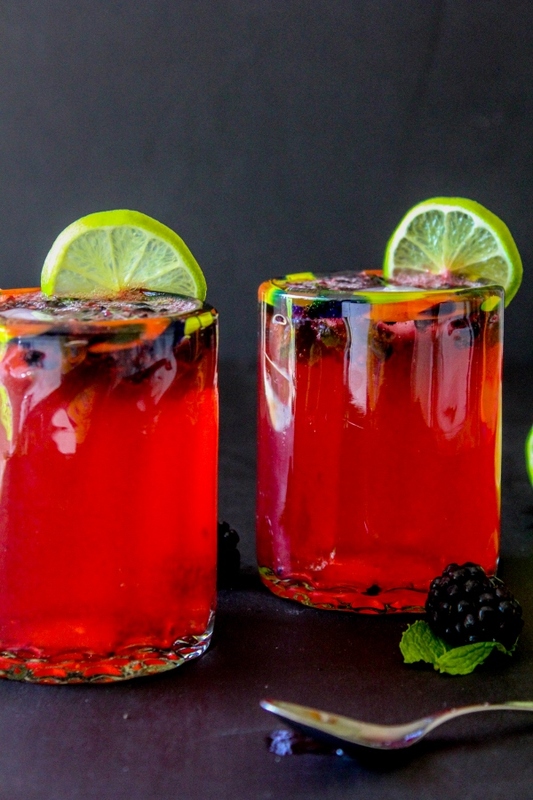 These super fresh and delicious Blackberry Mojitos are the perfect simple mixed drink for the summer! The weather has been just perfect here lately and I've been soaking up as much sun and warmth as I can. Knowing that summer doesn't last forever in Michigan, you definitely don't want to waste one single day! I've been spending a lot of time in my backyard and on my deck, and I've been grilling as much as possible. And of course while I'm lounging on the deck I've got a drink in my hand, and these Blackberry Mojitos are my new favorite! 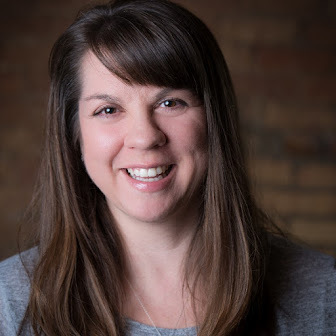 I love to take the fresh produce I find at my local farmers market and use it for light and delicious dishes and drinks. 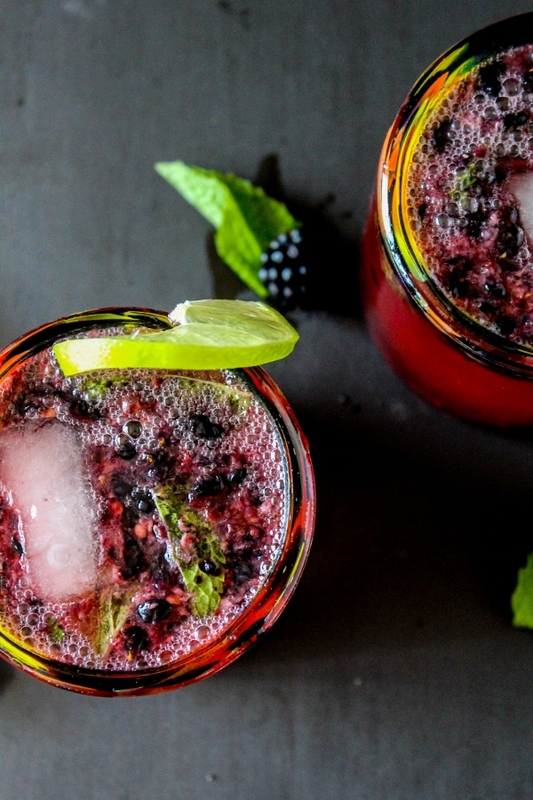 I picked up a ton of fresh berries recently and decided that the blackberries would be perfect in my favorite drink - a mojito! 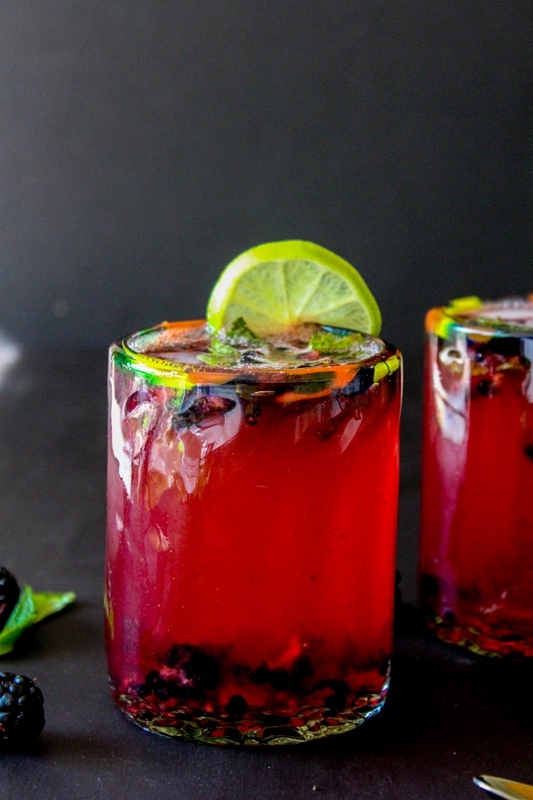 I love the combination of lime and mint, and adding sweet blackberries to the mix gives it the perfect summery touch. Raspberries would also be delicious, in place of the blackberries, or you could add a little of both. These mojitos consist of just a few simple ingredients, plus they take just minutes to make. They are perfect to serve to guests or just for you when you need a little cocktail! 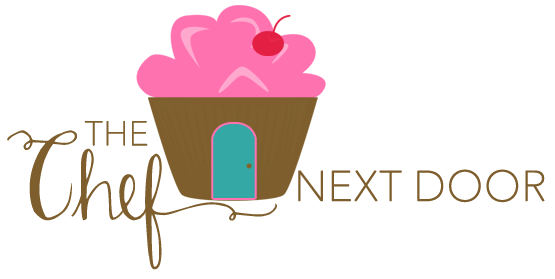 Today my #SundaySupper friends are sharing their favorite Simple Mixed Drinks too, so be sure to check them all out at the bottom of this post! 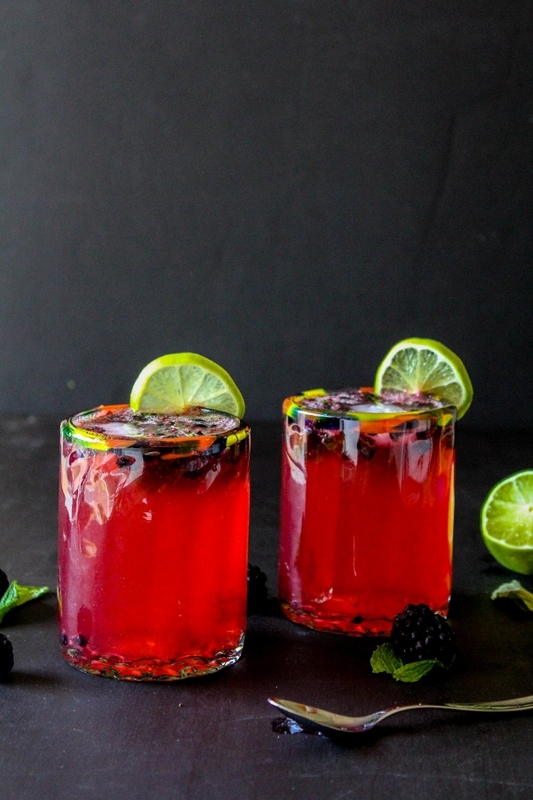 In two cocktail glasses, divide the blackberries, mint and sugar equally. Squeeze the juice of half of a lime into each glass, followed by 1/4 cup of rum to each. Muddle the mixture together, breaking up the berries and crushing the mint. Add ice to each glass and top with club soda, then stir to combine. Add lime slices for garnish.